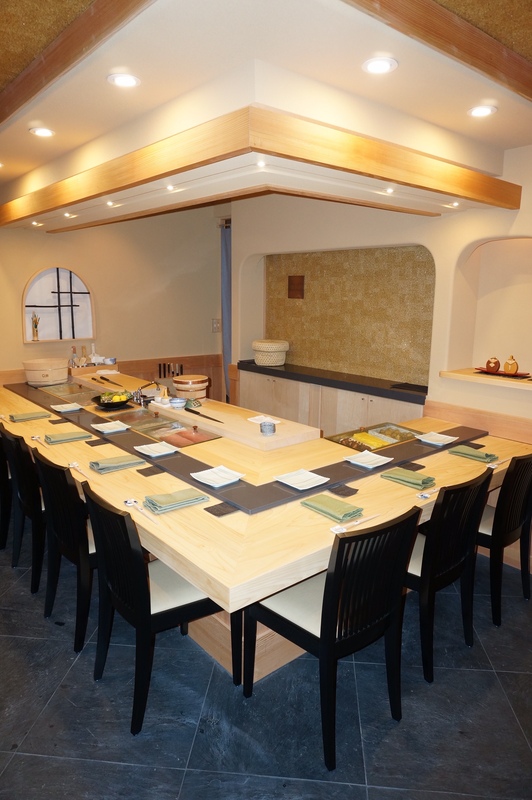 Maru Sushi, an iconic Michelin-starred sushi bar in Sapporo, Hokkaido, opened its second location in Honolulu tonight. Helmed by the founding owner and executive chef Takeshi Kawasaki, the exclusive nine-seat counter will give diners two course options, each featuring an impressive lineup of Edomae sushi incorporating Hokkaido’s finest seafood bounty. 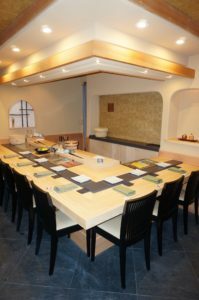 The sushi bar will offer a $180 course that features 6-7 appetizers and about 14 pieces of nigiri, and a $220 course with 6-7 appetizers and about 16 pieces of nigiri with elevated ingredients. 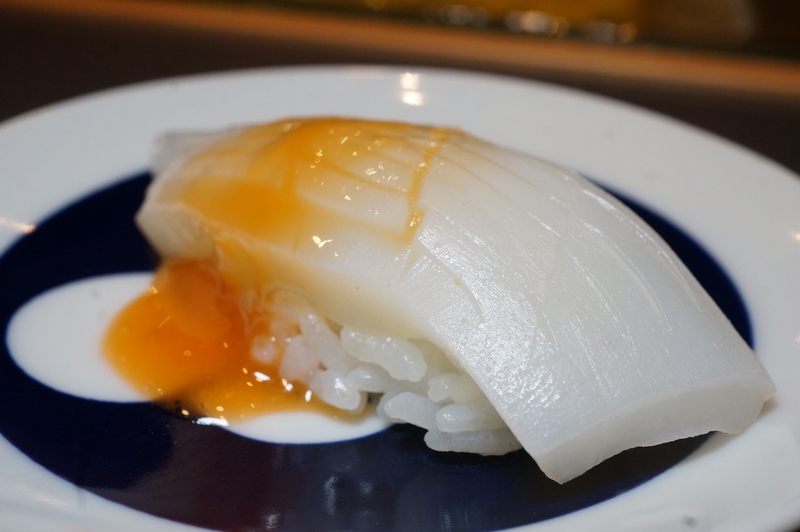 The nigiri count for each course will vary based on market prices for the ingredients, most of which will be flown in fresh regularly from Hokkaido. The restaurant is developing a finely curated selection of drinks to complement the sushi, including Suntory Malts beer by the draft, as well as a selection of fine wines, sake, and shochu. Reservations will be taken at 5:00 p.m., 5:15 p.m., 7:30 p.m., and 7:45 p.m., with the experiencing lasting no more than two hours. Almost an exact replica of the Hokkaido restaurant designed by Takeshi Kawasaki himself, the 647 square-foot Honolulu location exudes a traditional Japanese aesthetic, from the entrance hall lined with thin stalks of bamboo emerging from a bed of white stones to the grey slate tiles leading up to the intimate 250-square foot dining room comprised of a low sushi counter with nine custom-made seats. The space’s interior is dominated by an L-shaped counter and seafood showcase made completely of blonde cedar, as soothing earth tones on the walls complement the warm ambiance. Recessed lights softly illuminate the counter, as a textured silhouette of Diamond Head on the wall subtly hints at the restaurant’s nod to its new home in Hawaii. Hokkaido-born Chef Takeshi Kawasaki started his career in sushi at the age of 15, after losing his mother. Attending high school during the day, he spent his evenings learning the trade at a local sushi restaurant. After graduation, he relocated to Kyoto for college, where he continued to work part time at a sushi restaurant. Completing his degree in Kyoto, Kawasaki decided to return home, where he took on a position at the esteemed Sushi Zen in Susukino for 10 years. Patiently waiting for the right window of opportunity, he launched his restaurant Maru Sushi in 1987, and quickly gained a reputation for his premium ingredients and impeccable technique. This eventually led him to earn his first Michelin star in 2011. In 2016, he left his restaurant in Hokkaido to his son, and moved to Hawaii to enjoy his retirement days with his wife, while continuing to spend his evenings continuing his life’s work as a sushi chef at the second location of Maru Sushi.